A man was airlifted to hospital with serious injuries after being in a collision with his own vehicle yesterday afternoon (Thursday, December 6), Sussex Police has said. According to police, the man was outside his vehicle when the collision occurred on the A283 Northchapel, near Petworth. 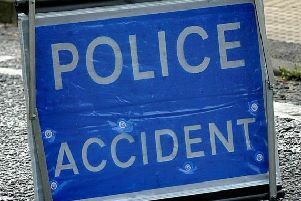 A police spokesman said: "A man suffered serious injuries after being in collision with his own vehicle. "Police were informed of the collision at 1.45pm [and] the man was taken by air ambulance to the Royal Sussex County Hospital." The circumstances of the collision are under investigation, police confirmed.